Minister of Education to Open New Building at UTech, Jamaica — UTech, Ja. The University of Technology, Jamaica will on Thursday, December 14, 2017 officially open its Shared Facilities Building at a special ceremony commencing at 3:00 pm at Lecture Theatre 50 (LT50), Shared Facilities Building, which is located central west of the Papine Campus. 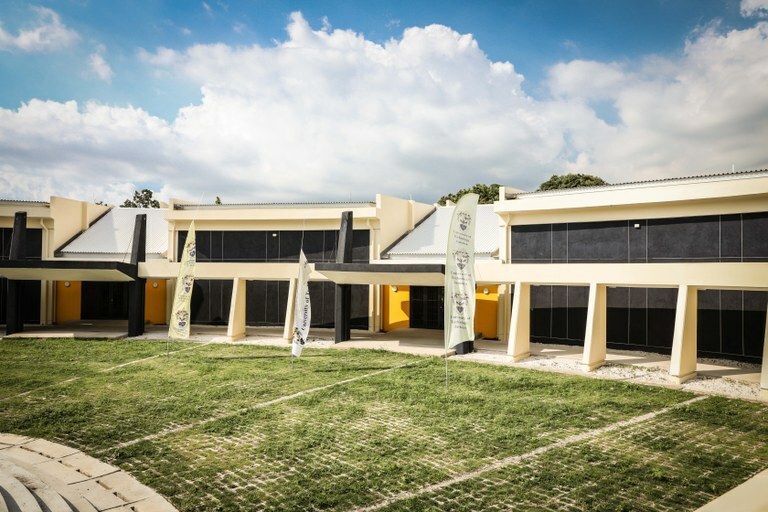 The Shared Facilities Building comprises 20 SMART classrooms, three state-of-the-art lecture theatres, sanitary conveniences, computer laboratories and an amphitheatre. The new building is one of the major infrastructural outcomes of the UTech, Jamaica Enhancement Project facilitated through a loan agreement between the Government of Jamaica (GoJ) and the Caribbean Development Bank (CDB), with counterpart funding by the University of Technology, Jamaica. The scope of the UTech, Jamaica Enhancement Project had two main components - institutional strengthening and civil works development. Senator the Hon. Ruel Reid, CD, J.P., Minister of Education, Youth and Information will deliver the keynote address and declare the Shared Facilities Building officially opened. Other speakers at the opening ceremony will be Professor Stephen Vasciannie, CD, President, University of Technology, Jamaica, Mr. Stephen Lawrence, Operations Officer, Caribbean Development Bank (CDB) and Dr. Wayne Henry, Director General, Planning Institute of Jamaica (PIOJ). A section of the Shared Facilities Building completed under the UTech, Jamaica Enhancement Project.